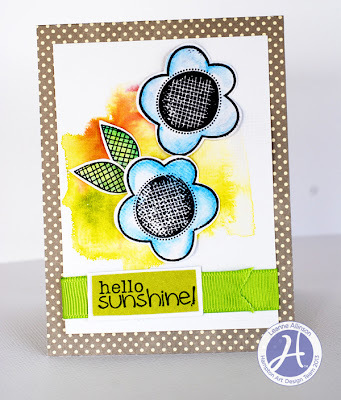 Hampton Art Blog: Two Tutorials by Leanne Allinson and a bonus card by Kim Frantz! Two Tutorials by Leanne Allinson and a bonus card by Kim Frantz! 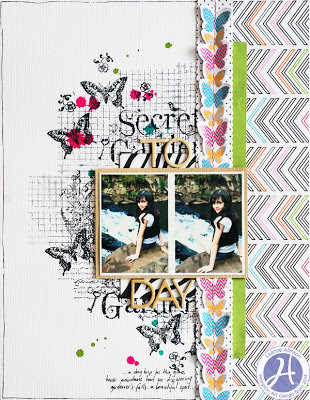 "Today" layout, by Leanne Allinson. Hi Everyone! 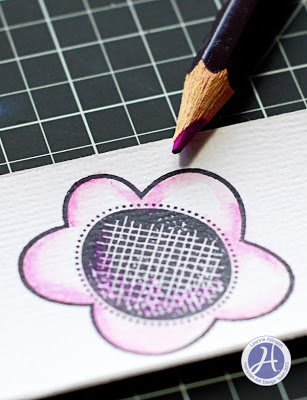 It's Leanne here today to share a quick step by step tutorial on how to create a stamped background when you don't have background stamps. 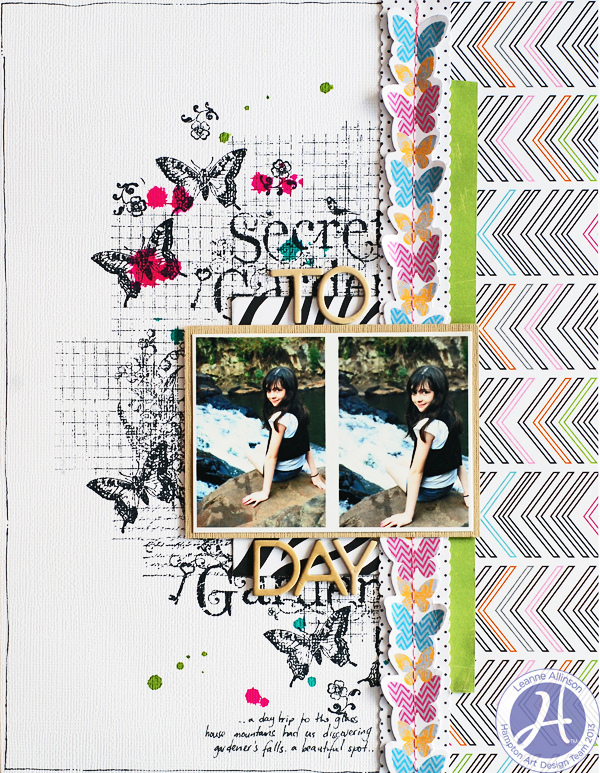 My layout is an 8.5in x 11in size page but I have reduced the area I want to create my background stamping, even more so by adding a 3in x 11in strip of patterned paper (KI Memories | Best Friends, KI 10056) down the right-hand length of the page. step 1. 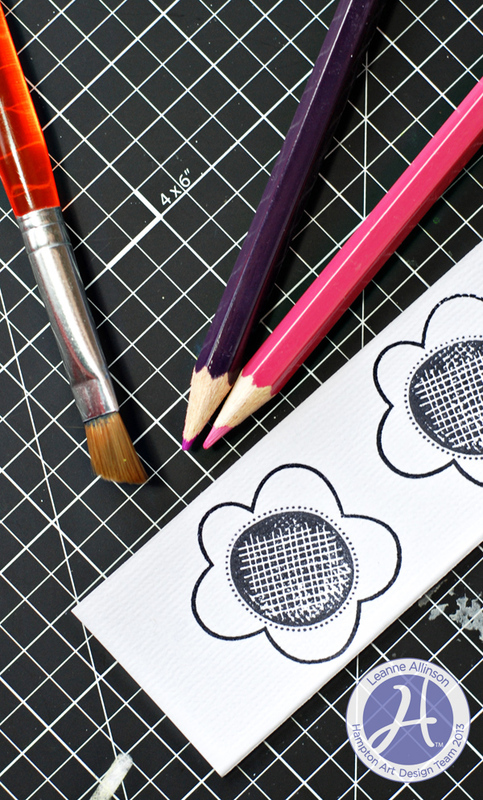 Position the strip of patterned paper (3in x 11in) on your cardstock, but don't adhere it just yet. Mark with a pencil a 3in x 4in template which overlaps the patterned paper strip. Mark the pencil lines on the white cardstock only. step 2. 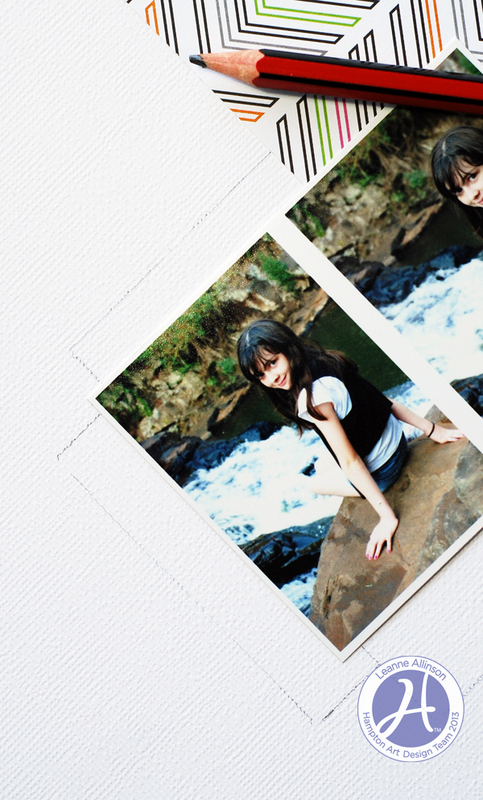 Position your photo/s (mine is 3in x 4in) and repeat marking the edges of it with a pencil line. 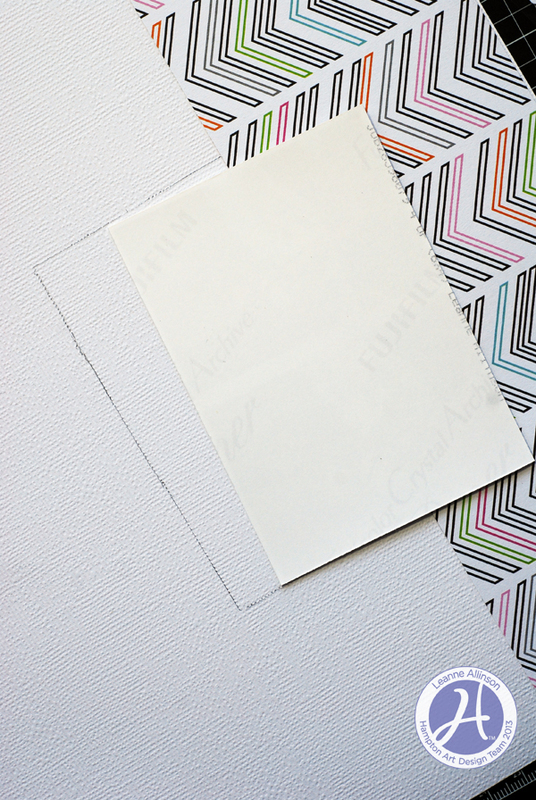 Again, draw the pencil lines only on the white cardstock. step 3. Remove the patterned paper, template and photo/s from the cardstock. step 4. Using a waterproof black ink, ink a grid-style stamp and stamp in horizontal and vertical positions around the pencil lines. 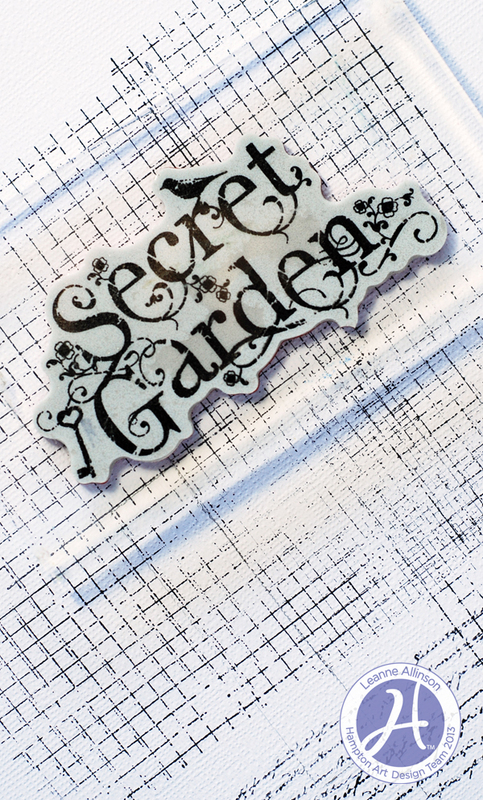 Mount the "Graphic 45 | Secret Garden" on a clear block and stamp the image at the top and bottom of your marked pencil lines. step 5. 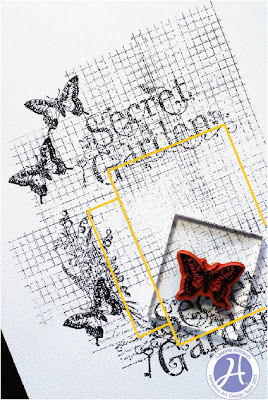 Add some butterflies and flowers from the Graphic 45 | Secret Garden stamp collection and the script stamp from Authentique |Keep Me Posted (IC0231). 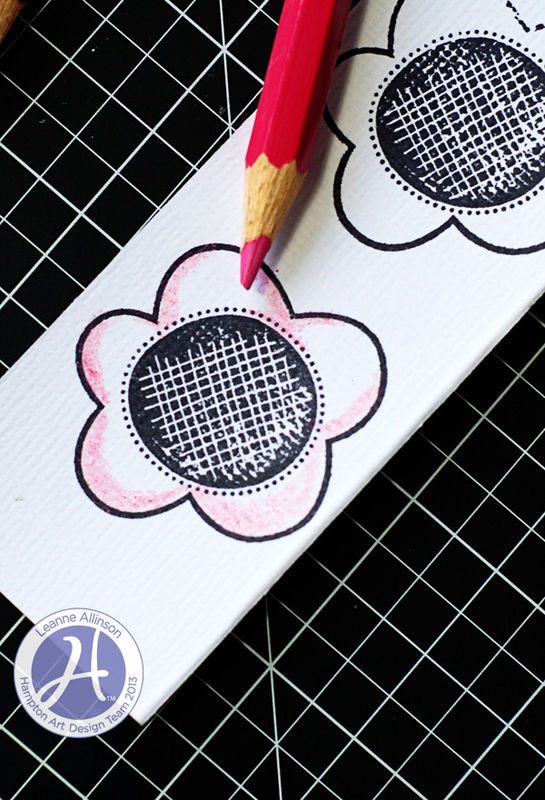 Allow them to overlap the grid stamped image and fill in the gaps around the pencil lines. note: In the photo below, only I have highlighted the pencil lines in yellow. This is not on the actual layout. step 6. 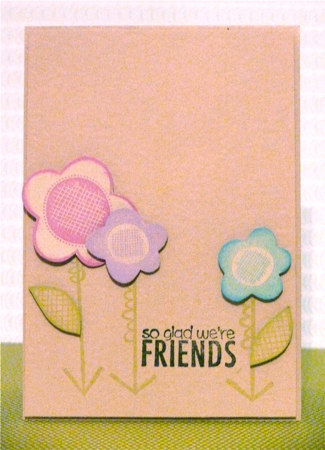 Replace and adhere the KI Memories patterned paper to the right side of the cardstock. Add the ruffle sticker border to the left edge of the patterned paper. Trim a 3in x 4in contrasting patterned paper (reverse side of KI Memories | Best Friends) and adhere in the pencil lined and marked position from step 1.
step 7. Add a lime green piece of patterned paper (Echo Park | Bundle of Joy) below the ruffle border on the right and mount your photo/s on a contrasting piece of cardstock. Adhere photo/s to pencil lined and marked position from step 2. 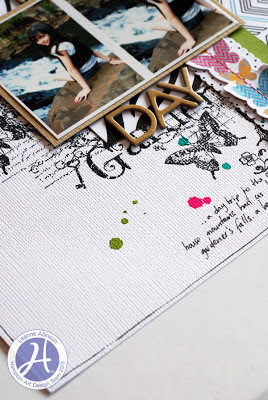 Add splashes of mist in neon pink, turquoise and lime green over the black stamped images on your page. Allow to dry. step 8. Finally, add your title, journaling and a black pen border along the cardstock edge. other - cardstock, mist, grid stamp, black pen. "Hello Sunshine!" card, by Leanne Allinson. "Hello There" card, by Leanne Allinson. Hi Everyone. It is Leanne here today to share a simple step by step using water colours. I love the water colour trend at the moment and remembered that many years ago I purchased a set of watercolour pencils. I've created two different cards using the same stamp and colour technique. step 1. 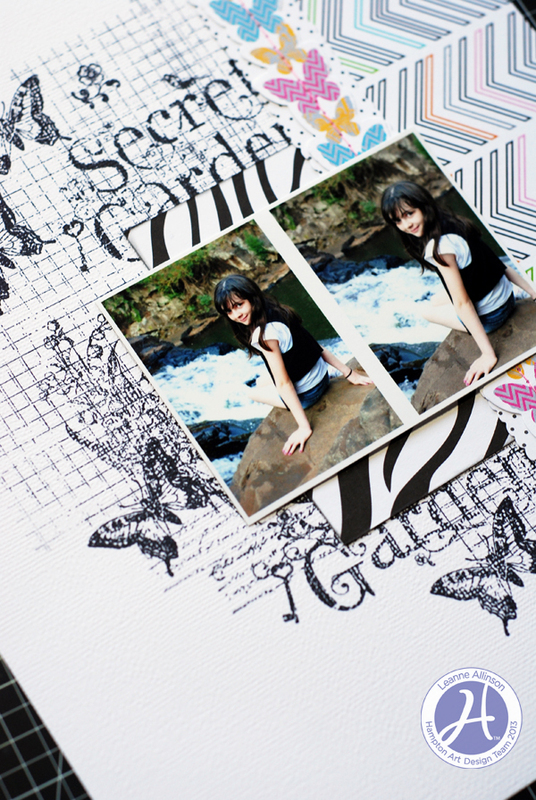 Stamp your image with a waterproof ink, onto some white cardstock. 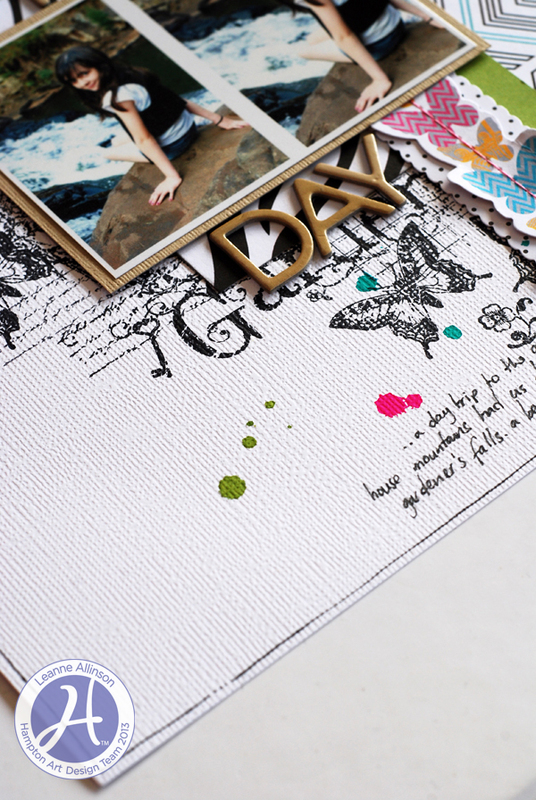 I have used the new Bella Blvd | Sand & Surf (IC0226) stamp. step 2. 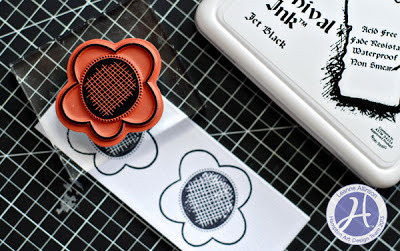 Choose two or three colours (depending on how much shading you wish to achieve) in the same colour range. step 3. Start shading the image with your lightest coloured pencil. When shading, have an awareness of where you want your light source to come from. Do not colour the entire image otherwise the flower will look flat. Using a wet paint brush, start to blend the first colour. step 4. Allow the coloured stamp to dry before shading the image again with a darker coloured pencil. Repeat the process until you are happy with the outcome. note: Use the same watercolour method to create the leaves. other - watercolour pencils, cardstock, ribbon. other - cardstock, watercolour pencils. Stamps: Bella Blvd/Sand and Surf. This is awesome Leanne! I've got pencils like those so you've inspired me to give it a go! The background on your layout is amazing!! !